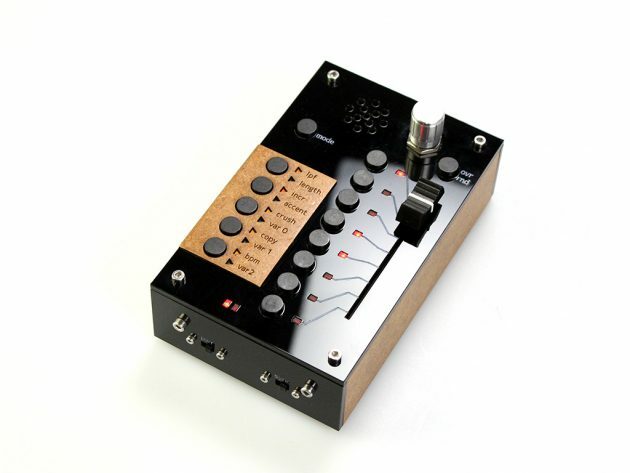 Fizzi is a platform for algorithmic sound synthesis which consists of a circuit board and a software Library. 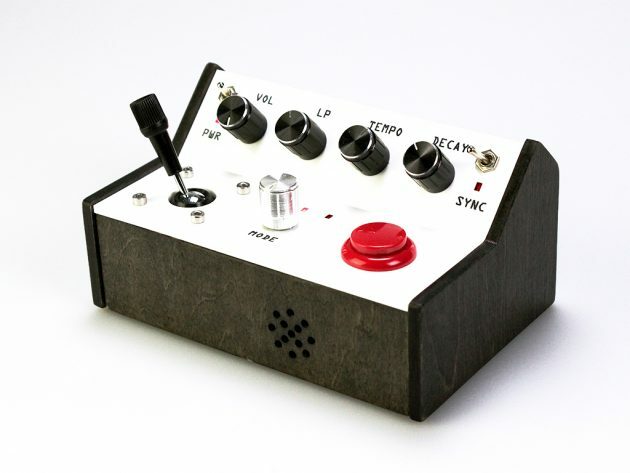 The circuit board houses a minimalistic circuitry for building a digital synthesizer upon it, so it has a power supply, an audio output, an input for v-trigger sync signals and a programmable microcontroller. 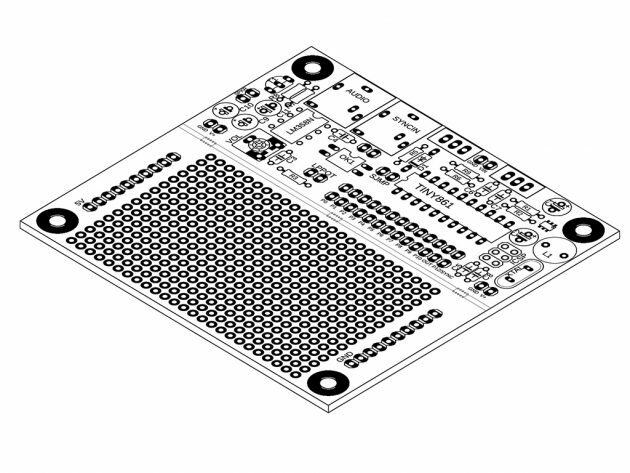 Furthermore there is a removable prefboard section for placing additional components needed for implementing different interface components. The synthesis process doesn’t rely on precomputed wavetables or samples but on algorithms computing samples in realtime. Therefor a counter variable called t is increment in the pace of the sample rate and then used in a mathematical formula. By the fact that the value of t changes with every iteration, the outcome of the formula changes, too. This outcome is then used to manipulate the duty cycle of a very high frequency PWM signal, which is passed through a lowpass filter for smoothing. On one side this principle makes it very easy and enjoyable to experiment with digital sound synthesis, because one only has to come up with some formulas for producing many different and interesting sounds. Complex systems of oscillators, filters and effects belong to the past. On the other side the produced sounds are quite unpredictable, especially when the formula is complex, so it might be hard to gain total control over the sounds. 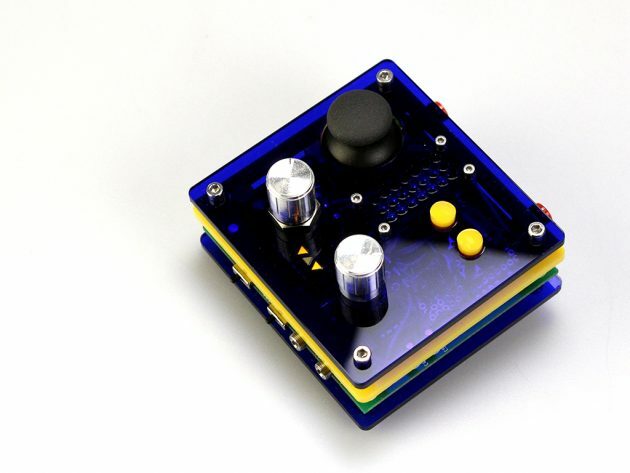 Due to the way how samples are computed, the produced sounds have a unique 8-bitish aesthetic which fluctuates between rhythmic noise, gameboy style beep sounds and drone patterns. Additionally there is the so called ‘masterunit’ which basically is a sequencer for v-trigger signals with eight outputs. But it’s not just a normal sequencer, the patterns produced are also created by algorithms similar to the formulas for the synthesis. When jamming together the masterunit takes the role of a director who leads the composition, the musicians just have to follow the given structure. 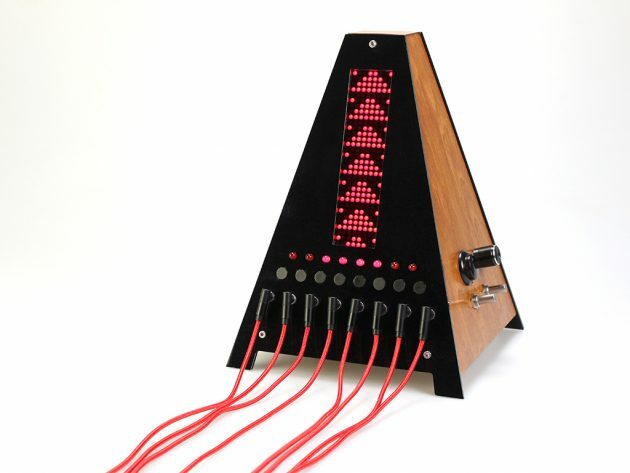 Fizzi makes algorithms audible and by this offers a different but easily accessible approach for creating electronic music instruments. The library and code reference can be found on GitHub.